Teacher Printable – It Works For Bobbi! My kids are starting back to school this week, and I wanted a “sweet” way for my kids to express their excitement for getting back to school to their new teachers! I created these bag toppers which staple on to regular sandwich-size ziplock bags! 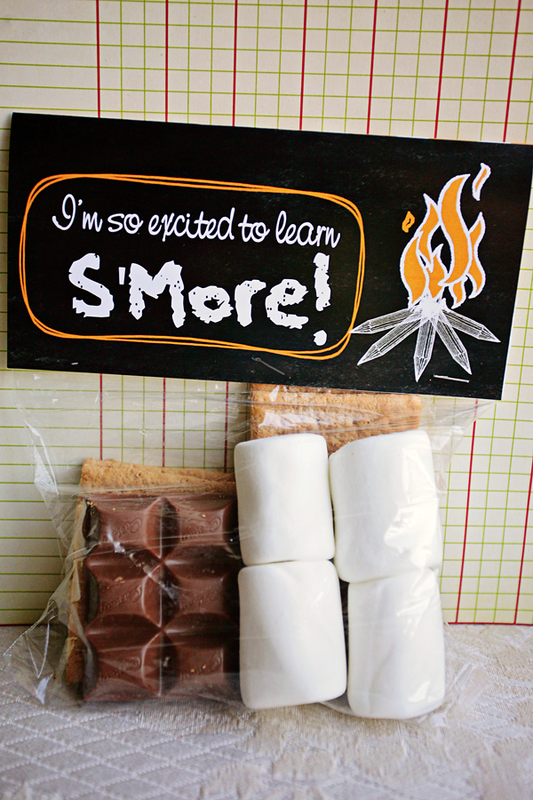 Fill the bag with all of the “S’more” fixin’s, add the bag topper, and you’re ready for a sweet back-to-school gift for teachers, librarians, coaches, instructors, whomever!